Anyhow, nice sunny day so we went off for the short car trip to the North Kent Coast at Herne Bay. This town was once popular with Victorians and Edwardians. 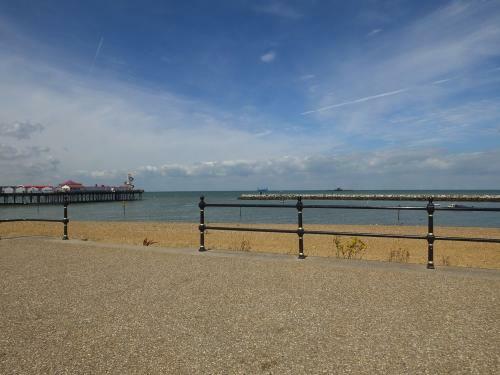 It boasted the second longest pier in Britain at about three quarters of a mile. This was necessary due to the very shallow water at low tide and there needed to be enough water for the paddle steamers that called from London to the end of the pier. 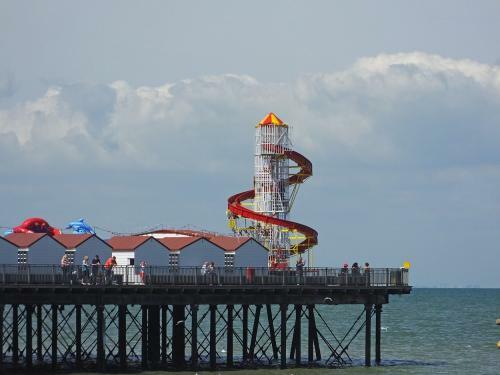 As a teenager I would go roller skating in the pier pavilion with a group of pals. Sadly the pier was damaged and not repaired. 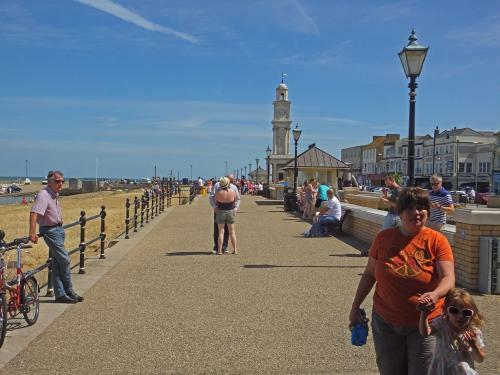 The Pier Pavilion was removed and replaced with a range of craft shacks and a childrens amusements at the end of the remaining shore end structure. 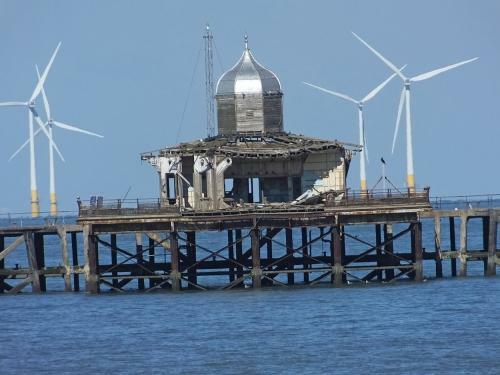 The pier head stands in a derelict state three quarters of a mile off the beach. 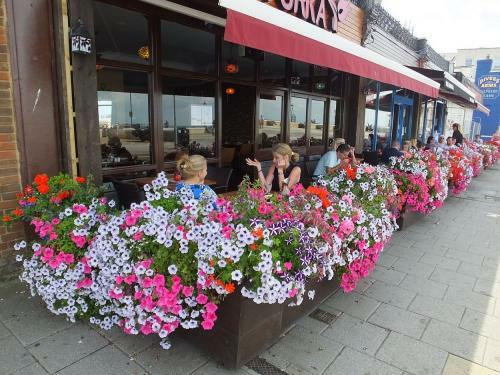 Herne Bay is now well down as a holiday destination but still a pleasant enough place to live. We took a short walk alomg the prom and then had a meze lunch in a Turkish restaurant that looks out to sea. Home by mid afternoon and a couple of hours relaxing in the sun on our patio. Great pics, Raddang; that pier head appears to be a pretty good fishing spot..